On September 16, in a private function at Parliament House with Senator Stephen Conroy, Minister for Broadband, Communications and the Digital Economy as a keynote speaker, Google Australia launched a new site “Google for the Public Sector”. As described by Google Australia public policy chief Iarla Flynn, the site is simply “…a guide to the tools and best practice for the public sector to reach, communicate and engage with their communities”. It was a quiet ceremony (even Senator Conroy’s site does not refer to it officially) and so far there has not been any official directive to consider Google tools as potential solutions in support of Public Sector operations and activities. However, the significance of this event is that it sends a clear message that Google can now be treated as a trusted supplier of competitive technologies. A formal recognition of a kind. Not that Google didn’t manage to sell its wares to Public Sector before, oh no. 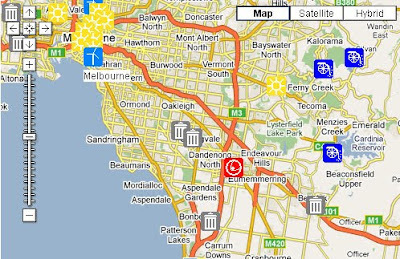 For example, Australian Bureau of Statistics uses Google search on its public website and at least a couple of other State and Federal Departments are implementing its commercial GIS solutions. And of course there are occasional Google Map deployments on public sites but overall, penetration of this segment of the market by Google is rather limited. There is no doubt that Google is making an attempt to muscle in on the turf traditionally serviced by Microsoft and its allies. This step in the battle for the market share is aimed at changing perception of Public Servants that Google is not only “that free thing for searching the Internet” but actually a significant technology provider that can offer a whole range of specialised solutions. Shows where and what projects the $62.9 billion Economic Stimulus package will be spent on. Map created by the Department of Environment, Water, Heritage and the Arts depicting locations of power stations by energy source and providing basic technical information about their operations. 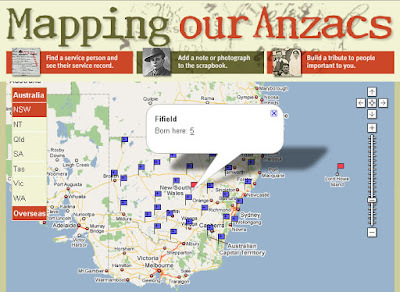 Mapping tool developed by the National Archives of Australia to browse 375,971 records of persons in the Australian Army during World War I, according to the their place of birth or enlistment. 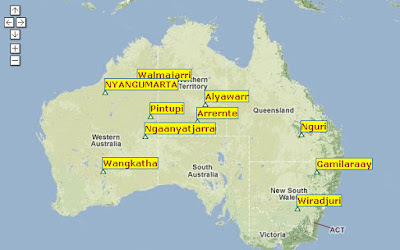 Map created by the Australian Institute of Aboriginal and Torres Strait Islander Studies with information on 1,143 different Indigenous languages and dialects. 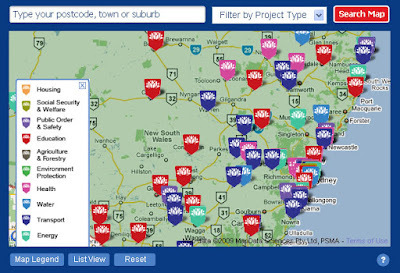 Map created by the Department of Environment, Water, Heritage and the Arts showing 28 World Heritage listed locations with links to more extensive information about each place.